Welcome to my first “Yoga Minute” video. I’ll be posting videos weekly on Wednesdays. These videos are designed for inactive beginners, seniors and people with most any illness or injury. The majority of poses are in a chair and most can be done from a wheelchair. 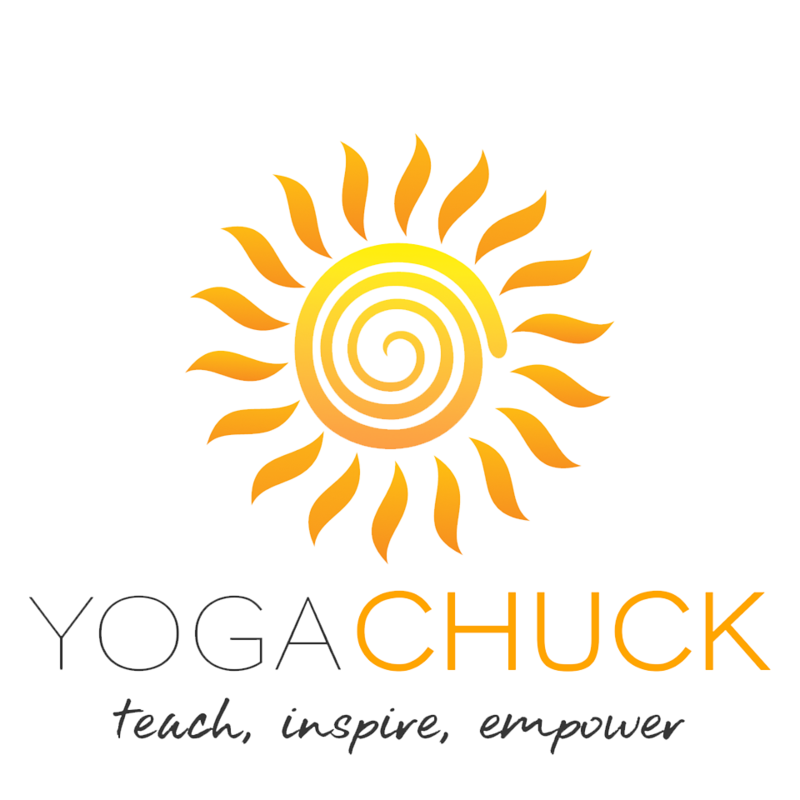 I’ll also be posting the same video on my You Tube Channel “Yoga Chuck” and Facebook page “Real Yoga, LLC“. Seated Forward Bend: Seated with knees over heels and your spine elongating. You want the pivot point coming from the hips as your moving and coming into Seated Forward Bend; hips rotate over the heads of your femurs without rounding your back or dropping your head, let the neck be an extension of your spine. This pose is great for the spine, back, hips, shoulders, respiratory system, digestive system and nervous system. All poses should be a No Pain No Pain practice and avoid having discomfort. How long to hold the pose: If pain is above a 5 on a scale of 0-10, then only hold the pose 10-15 seconds, you can repeat this multiple times. If your pain level is 5 or lower you can hold the pose 30 seconds to 1 minutes. Listen to your body and make adjustments as needed. Explanation: If you’re pain level is above a 5 then the muscles are actually tightening to protect themselves, so you will no longer be stretching them. This is why you should come in and out of the pose multiple times in order to get a stretch with pain level above a 5.